Here's a common myth I hear a lot: Making the switch to green cleaning products is too expensive. I thought so, too! I was overwhelmed by the idea of switching to green products! 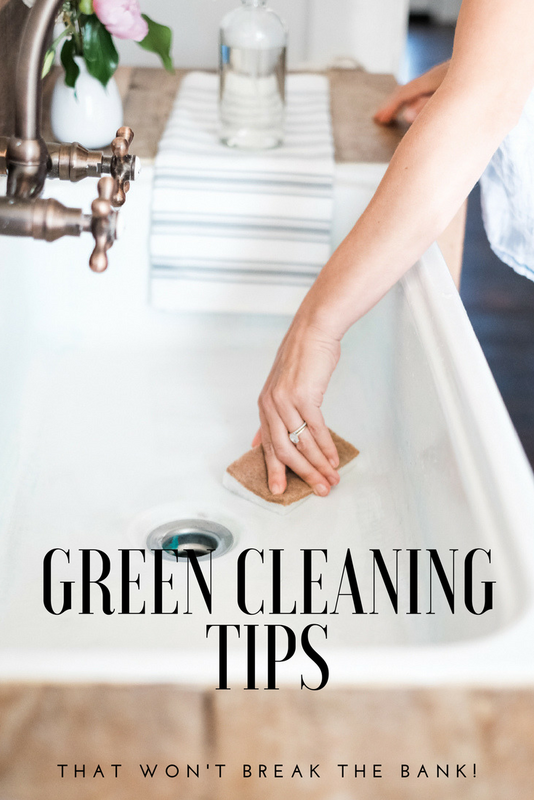 I can say from experience that creating a green cleaning kit can be easy and affordable. You don’t need a cabinet stuffed with products — in fact, I now use fewer (and better!) products. 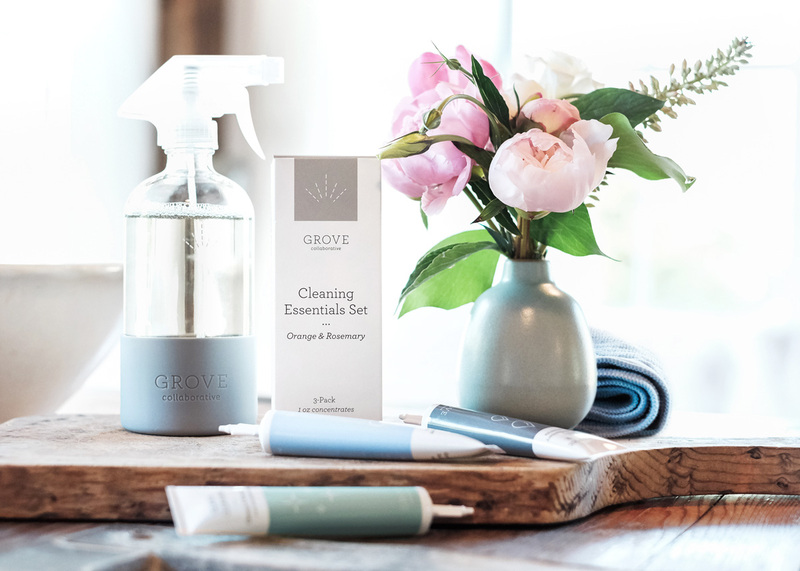 You can get a jumpstart on your green cleaning routine by grabbing this free set of cleaning concentrates + glass spray bottle + microfibers with your first purchase of $20 from Grove Collaborative. I switched from paper towels to microfiber cloths for cleaning a few months ago, and I’ve never looked back. You can throw them in the washing machine when you’re done, and they’ll last for years! Did you know glass cleaner can do more than windows? Use your Grove glass cleaner concentrate to get the grime off windowsills, clean dusty light fixtures, and shine up your wedding ring. 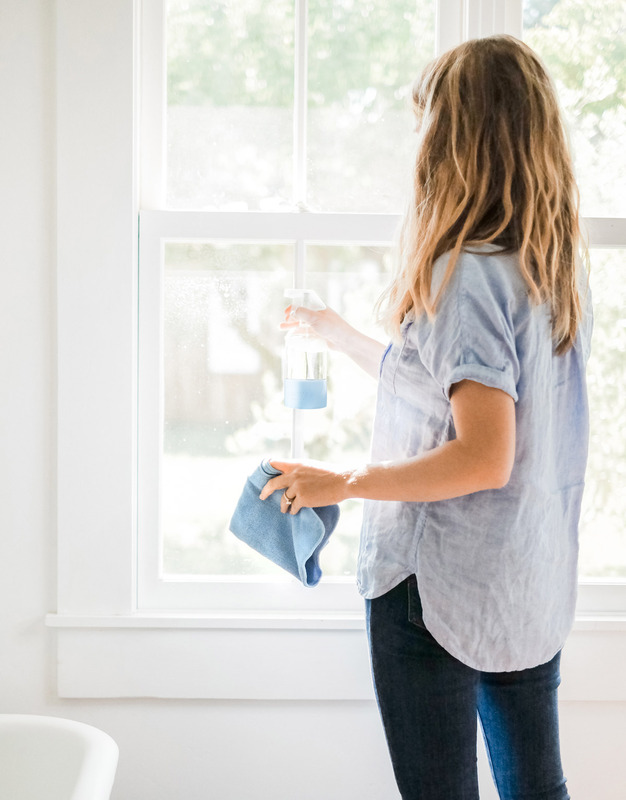 Choose a bathroom cleaner that does double-duty. I keep a bottle of Grove tub & tile concentrate under my sink, and it’s the only product I need to clean the whole bathroom. 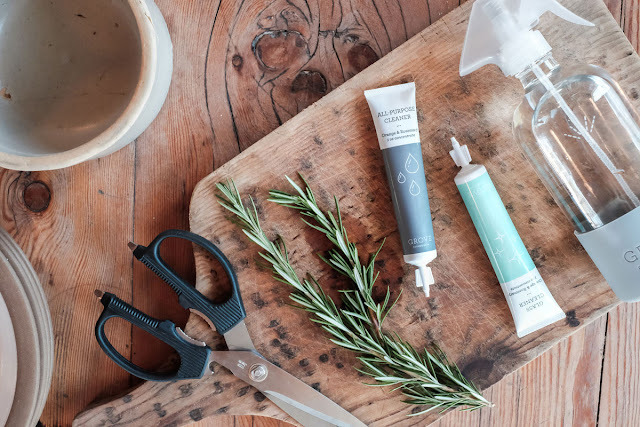 I’ve found that purchasing products from Grove Collaborative not only saves me time, it’s also more affordable than picking up products at the grocery store. Grove hand-selects the best natural products and delivers them (carbon offset) right to my doorstep, on my schedule. Already a part of the Grove Collaborative Family? Don't fret! There are goodies for you! 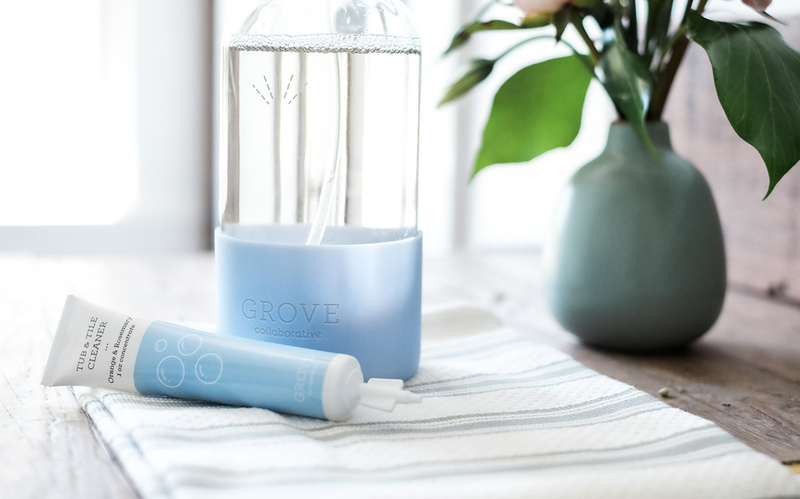 You’ll receive a free set of Grove walnut scrubbers — they’re sustainably made and get dishes super clean! Order here and they'll automatically be added to your order!